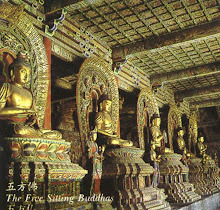 The Buddha said, it is difficult for one to leave the evil destinies and become a human being. Even if one does become a human being, it is still difficult to become a man rather than a woman. Even if one does become a man, it is still difficult to have the six sense organs complete and perfect. Even if the six sense organs are complete and perfect, it is still difficult for one to be born in a central country. Even if one is born in a central country, it is still difficult to be born at a time when there is a Buddha in the world. 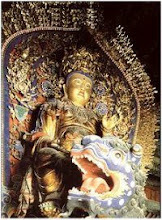 Even if one is born at a time when there is a Buddha in the world, it is still difficult to encounter the Way. Even if one does encounter the Way, it is still difficult to bring forth faith. Even if one brings forth faith, it is still difficult to resolve one mind on Bodhi. Even if one does resolve one mind on Bodhi, it is still difficult to be beyond cultivation and attainment." 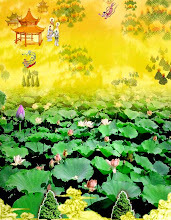 The thirty-sixth section discusses the difficulties of obtaining a human body, being born in a central country, meeting a Good and Wise Advisor, encountering a Buddha in the world, and various other difficulties. 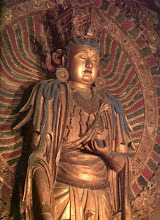 The Buddha said, t is difficult for one to leave the evil destinies and become a human being. "The three evil destinies are the hells, the realm of hungry ghosts, and the realm of animals. It's very difficult to leave the three evil destinies and be reborn as a human being. 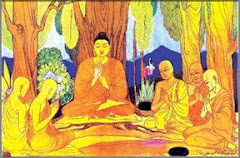 When the Buddha was in the world, he once brought up a question for all the disciples to consider. The Buddha scooped up a handful of dirt and asked, all of you tell me, is there more dirt in my hand or on the whole earth? " The Buddha disciples all answered, f course the dirt in the Buddha hand is less than the dirt on the whole earth! " Was there any need to ask about something as obvious as that? 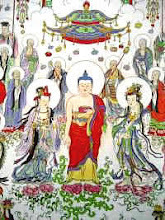 The Buddha said, living beings who can leave the three evil destinies the hells, the realm of hungry ghosts, and the realm of animals and become humans are like the dirt in my hand. Those who remain in the three evil destinies and cannot obtain human bodies are like the dirt on the whole earth. " This shows that for beings to leave behind the evil destinies and become human is not easy. Thus it is said that becoming a human being is difficult. Even if one does become a human being, it is still difficult to become a man rather than a woman. It difficult enough to become human; to become a man rather than a woman is even more difficult. Now wee discussing the point of view of someone who would like to be a man; you may want to become a man, but you can do it. But it also difficult to become a woman. Even if you'd like to be a woman, it would be very difficult to ensure it, because you don't have any control over it. You haven the authority to select the gender you become; you can just be whatever you wish to be. So, that is also not at all easy. Even if one does become a man, it is still difficult to have the six sense organs complete and perfect. Suppose you have become a man, or you have become a woman. Let not talk just about becoming a man, because there are also people who would like to become women. 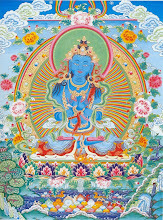 Suppose you have obtained a human body and you are of the gender you wish to be, so that not a matter of difficulty. However, it still not easy for a person to possess all six sense organs in perfect condition. The six sense organs are the eyes, ears, nose, tongue, body, and mind. Some people, although they have become human, don have any eyes, or they are born blind. Some people become human, but are deaf. Or their noses won let air pass, so even though they have noses, it the same as if they didn’t. Or they can taste or speak their tongues don function. Sometimes the body itself is disabled: for instance, half the body may be paralyzed. Or the mind may be defective: you can think and you don understand anything. In these cases, the six sense organs are not in perfect condition. This is very common. It is difficult for a person to have all six sense organs perfect and complete. Even if the six sense organs are complete and perfect, it is still difficult for one to be born in a central country. Suppose that the six sense organs are complete and perfect, so the eyes look like eyes and the ears look like ears. It is not the case that the ears look like eyes, or the eyes like ears; or that the lips resemble eyes, or the eyes resemble lips, with everything mixed up. One is not grossly deformed, with his eyes, ears, nose, and mouth all growing together so that they cannot be distinguished from one another, as if they wanted to form a corporation. Wouldn’t that be ugly? And yet there would be no way to do anything about it. Even after one has his six sense organs complete, it is difficult to be born in a central country, or the central part of a country. People from the four border regions of China, for example, were known by their tribal names as the southern Man tribe, the northern Mo tribe, the eastern Yi tribe, and the western Di tribe. Those were distinctive areas of China, and inhabitants of the border regions were disadvantaged. It easy to be born on the frontiers, but not easy to be born in the central territory. Even if one is born in a central country, it is still difficult to be born at a time when there is a Buddha in the world. 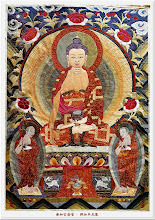 It is not easy at all to be born during a time when a Buddha is living in the world. 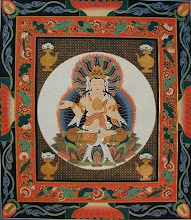 Even if one is born at a time when there is a Buddha in the world, it is still difficult to encounter the Way. It difficult to be born when a Buddha is in the world, but even if you manage to do so, it is still difficult to encounter the Way. Encountering the Way " refers to meeting a Good and Wise Advisor. If you meet a Good and Wise Advisor, a person who has the Way and who cultivates the Way, then you will also be able to cultivate the Way. But to encounter such a person is difficult. Even if one does encounter the Way, it is still difficult to bring forth faith. Even if you come to understand the Buddhadharma, if you come to understand the methods of cultivating the Way, it still not easy to bring forth faith. You may encounter the Way, but you fail to cultivate and bring forth faith. And if you don believe in the Way, although you have encountered it, it the same as if you hadn’t. Even if one brings forth faith, it is still difficult to resolve one mind on Bodhi. 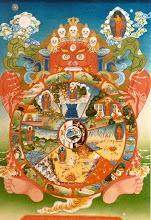 Suppose that you do bring forth faith: it is still not easy to cultivate according to the Dharma. Having faith is one thing. There are many people who have faith in the Buddhadharma, but when you tell them to cultivate, they don do it. Not to mention anything else, merely ask them to quit smoking, and they can bear to give it up. So, they can put it down. It difficult to have faith, but to resolve your mind on Bodhi (to aspire to the attainment of enlightenment) is even more difficult. 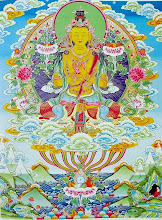 You aren’t able to cultivate according to the Dharma. 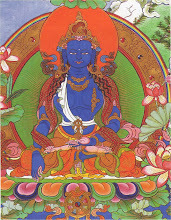 Even if one does resolve one mind on Bodhi, it is still difficult to be beyond cultivation and attainment. Suppose you have already resolved your mind on enlightenment. Making the Bodhi resolve is hard to do, but you have already done so. It is still more difficult to reach the level where there is nothing to be cultivated and nothing to be attained, where you have one what had to be done, and you undergo no further rebirth. " At that point, you have already finished your cultivation, you have already attained enlightenment, and you need not cultivate anymore. It is as when you have eaten your fill, you don have to eat anymore. When you have slept enough, you do not need to sleep anymore. When you have cultivated the Way, so that you are beyond cultivation and attainment, then you have reached the position Beyond Study and have achieved the fourth fruition of Arhatship. That is how it is explained in Theravada terms. Below, there are no more living beings to be saved. This is the position beyond cultivation and attainment, and it is not easy to reach. As for cultivation, if you don understand the Buddhadharma, then it a different issue. But if you do understand the Buddhadharma, then you should quickly make an effort to cultivate. The Buddha said, your disciples may be several thousand miles away from me, but if they remember my moral precepts, they will certainly attain the fruition of the Way. If those who are by my side do not follow my moral precepts, they may see me constantly, but in the end they will not attain the Way. " 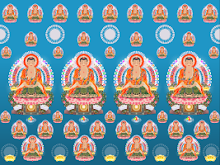 The thirty-seventh section says that if you believe in the Buddha precepts, then no matter how far away you are from the Buddha, it is as if you were right next to him. But if you don believe in and hold the Buddha precepts, then you may always be by the Buddha side, but you won see him and you won hear the Dharma. This is what the Sixth Patriarch meant when he said, f you believe in me, you may be 108,000 miles away from me, but it amounts to being right by my side. But if you don believe in me, although you may be right by my side, it will be the same as if you were 108,000 miles away. " That is also the meaning of this section of the Sutra. The Buddha said, your disciples may be several thousand miles away from me, but if they remember my moral precepts, they will certainly attain the fruition of the Way. "The Buddha said, even if my disciples are very distant from me, if they can constantly recollect my precepts and never forget them, and if they can rely on them and maintain them in their cultivation, such disciples will surely attain the fruition of the Way. " If those who are by my side do not follow my moral precepts, they may see me constantly, but in the end they will not attain the Way. Someone who is to my left or right may always see me, but if he doesn’t cultivate in accord with my precepts, then no matter how he tries, it won be easy for him to attain the Way. This section of text makes it clear that if you do what the teachings say, if you rely on the Buddhadharma in your cultivation, then you are a true disciple of the Buddha; you will constantly be in the presence of the Buddha; you will always be studying under the Buddha. If you don hold the precepts, however, you’ll miss the opportunity that is right in front of you. Once there were two Bhikshus in Varanasi who wanted to make the long journey to Shravasti to see the Buddha. As they walked, they grew more and more thirsty, until they could barely walk any further. They were about to die of thirst. In front of them, they found a little water that had collected in a human skull. One of the Bhikshus took up the skull, drank some of the water, and then turned to give some to the other Bhikshu. 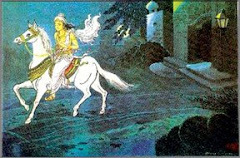 The other Bhikshu, seeing that the water was in a skull, and that, moreover, there were many bugs in it, didn drink it. The first Bhikshu said, why aren you drinking the water? We are nearly dead of thirst. " The other one answered, because the Buddha precepts say that we can drink water if there are bugs in it. Although I may die of thirst, I not going to drink water with bugs in it. 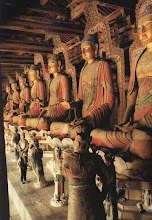 I want to stick to the Buddha precepts in my cultivation. " The first Bhikshu said, you’re really stupid. If you drink some of the water, you’ll be able to go and see the Buddha. If you don drink it, you'll die of thirst. Don be so inflexible. " Even after such a rebuke, the other Bhikshu still wouldn't take a drink. The first Bhikshu drank all of the water, and as he walked on he felt very strong. 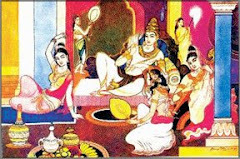 But the second Bhikshu, who hadn’t drunk any water, died of thirst along the way. 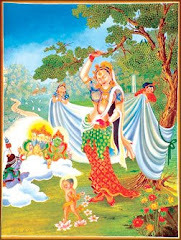 Because the second Bhikshu had single-mindedly held the precepts, he was reborn in the Trayastrimsa Heaven and was endowed with the blessed appearance of a god. 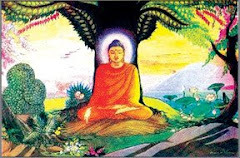 From there he went to see the Buddha, and upon hearing the Buddha speak Dharma for him, he attained the pure Dharma-eye and realized the fruition of Arhatship. Meanwhile, the Bhikshu who had drunk the water from the skull arrived at Shravasti after three more days of travelling. 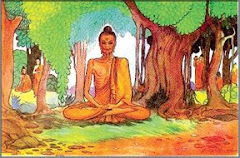 The Bhikshu who had died of thirst saw the Buddha on the night of his death and then realized the fruition. Three days later, the other Bhikshu arrived and saw the Buddha. The Buddha asked him, here did you come from? How many people came with you? Was the trip uneventful? " The Bhikshu told his story to the Buddha in detail: e came from Varanasi, and the road was long. At one point on the way we were without water, but eventually we found some water that had collected in a skull. I drank some, but my fellow cultivator wouldn’t drink it when he saw that there were bugs in it, so he died of thirst. 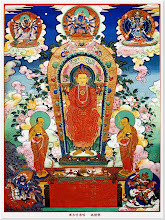 The fact is that he didn’t have affinities with the Buddha, and so he died instead of seeing the Buddha. His attachments were too strong. " 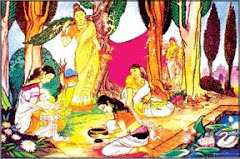 After the Buddha heard the story, he told the Bhikshu who had died of thirst to come forward. The Buddha said, hat very day he was reborn in the heavens and was endowed with the life span of a god, which is quite long. Then he came to my Dharma assembly, and I spoke Dharma for him. He has already realized the fruition of the Way. You say that he was stupid, but in truth you are the stupid one. You didn’t keep the Buddha precepts, and although you have come to see me, you might as well not have seen me, because your mind isn’t true. You aren’t sincere enough; you didn’t hold the precepts. " So from this episode you can see that, whether or not you are beside the Buddha, what matters is holding to the Buddha precepts as you cultivate. Then you actually get to see the Buddha. If you don cultivate according to the precepts, although you may be at the Buddha side, it as if you never saw him in the first place.